I've always been a fan of Matchbox 76th scale AFV's, and when the Challenger MBT was released back in '88 I was first in the queue and I bought a couple. It was pretty basic, but it was a Modern British Tank and I loved it. 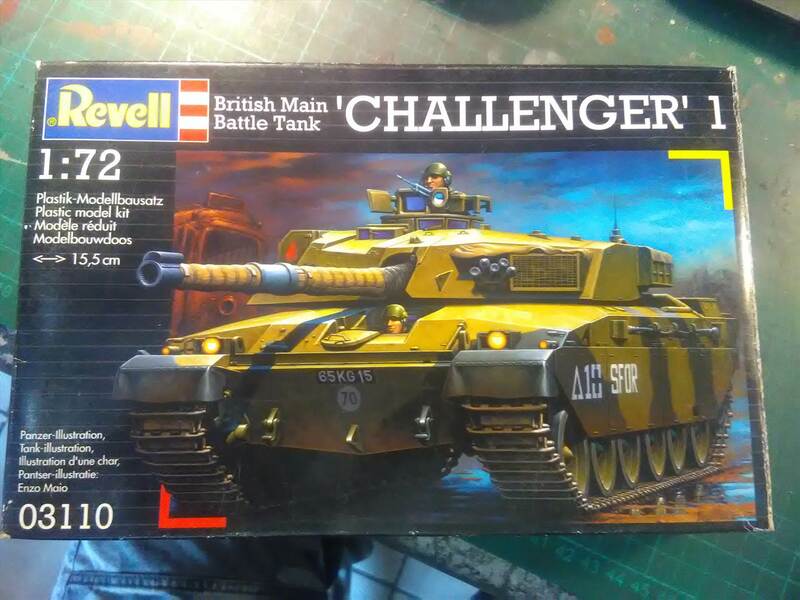 Shoot forward about 10 years and wallah, walk into a shop and there is a Revell Challenger. Knowing the company's liking for reboxing the old matchbox stuff, I gleefully grabbed a couple and took them home. Well, the Matchbox Challenger it aren't In fact its way better than the Matchbox one. It's actually sad that this kit, along with its twin, has sat in my stash since 1999! 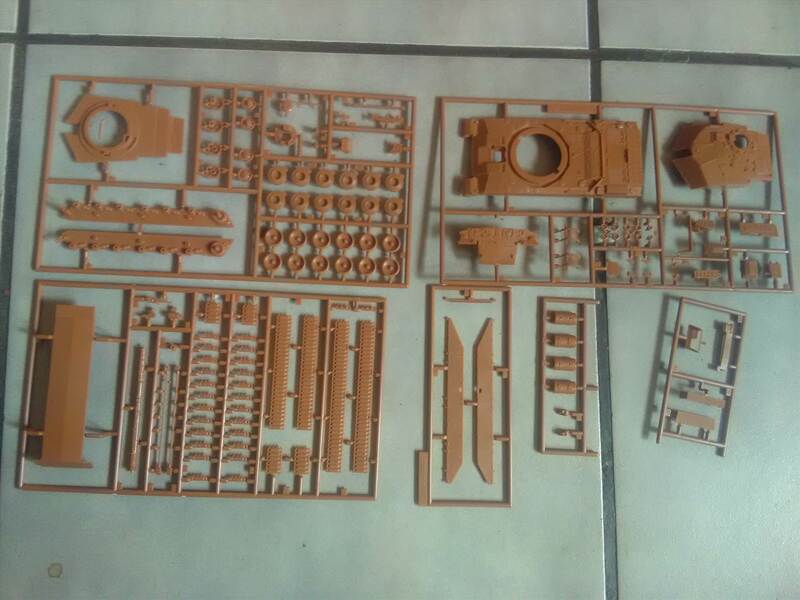 That does look very detailed for 1/72 – individual road wheels! The only modern(ish) tank that I particularly like is the Scorpion. It's not just because, like myself, it's a product of Cov, I tend to prefer the smaller tanks/tankettes.